‘Quiet’ said the employee to a customer. Wherever I look, I see books in the shelves. You’d think this is a library, especially because of what the employee just said, but funnily enough, the employee doesn’t mind talking to another customer ..talking even louder than the customer she just shushed. 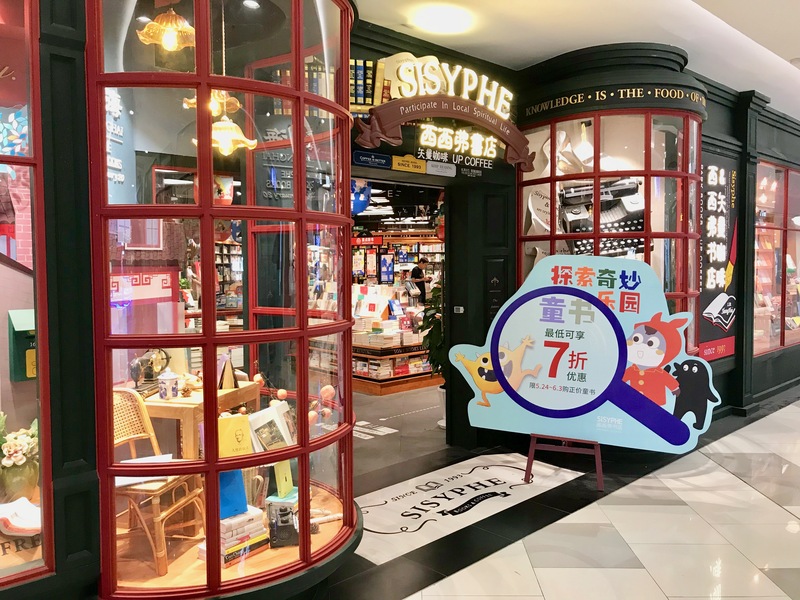 We are in a bookstore in Shanghai’s Hongkou Dragon Dream Shopping Centre1. I wonder whether this shushing is some sort of marketing gag – like when you see employees at makeup counters dressed in lab coats – to make you think they are kind of like scientists or pharmacists. 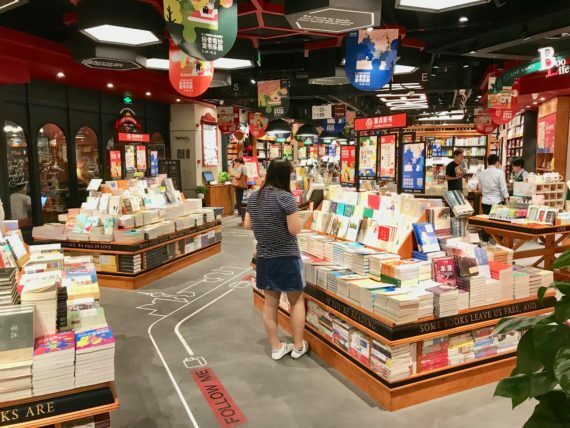 ‘Quiet’ is so that people can read their books in the library, but as a store, they want to earn money, so you wouldn’t want to visitors to read the books in the bookstore, you want them to buy the books, at least that’s how I thought it works. The shushing might be intended to make you feel as if you are in a less mundane place. Shushing = library, library = the equivalent of a spiritual 1UP. Like in virtually all bookstores in Shanghai, there’s a nice selection of ‘lifestyle stationery’, i.e. stationery that looks nice and is ‘trendy’. In the photo above you can see some of the cheaper fountain pens they sell: Monami Olikas and fake Hero Safaris (they look like Safaris, but instead of Lamy the brand name Hero is embossed on the barrel). 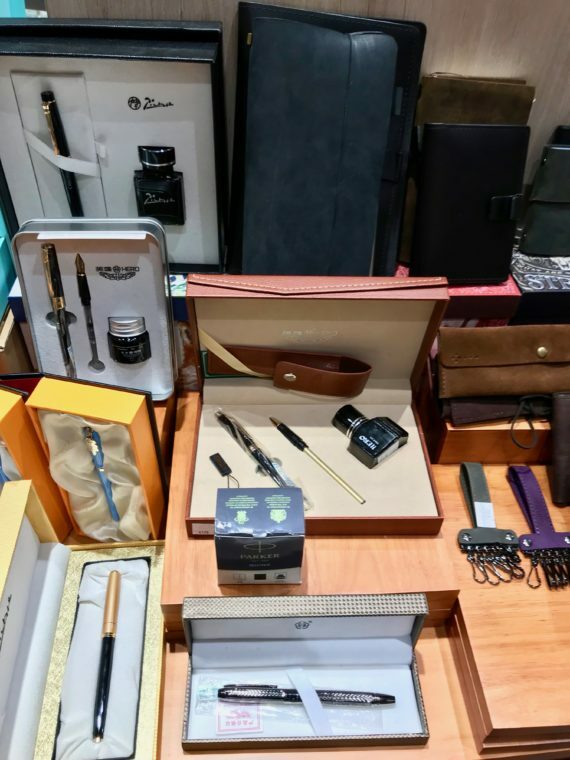 They also sell more formal looking, more expensive fountain pens (on the right in the photo above and in the photo below). 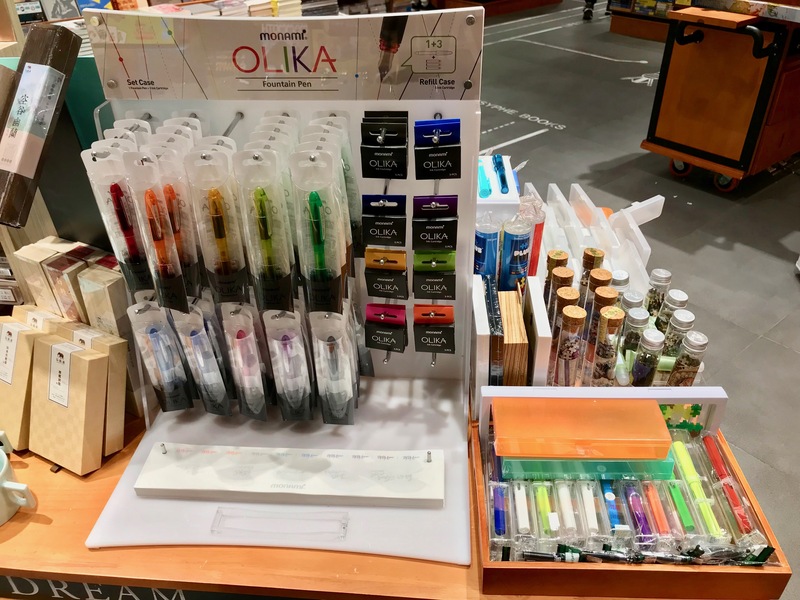 These days glass dip pens also seem to be popular in Shanghai (on the left in the photo above ). I like bookstores in Shanghai. Many have a very similar choice of stationery to each other, but you can often find new and different stationery – and the stationery always tends to be presented in a nice way. 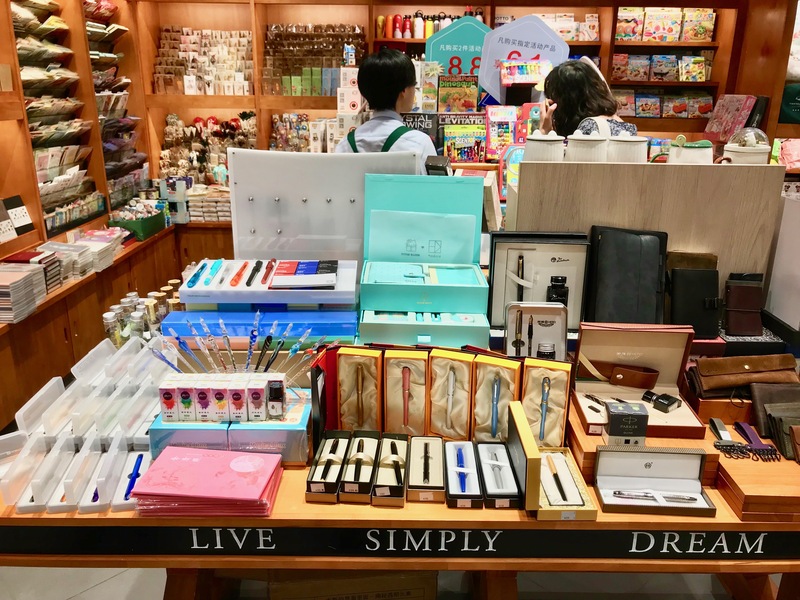 Coming soon: More blog posts about stationery in Shanghai.